The Ukrainian Space Agency has reportedly come up with an ambitious proposal to establish a spaceport some 11,500 km from home. According to The West Australian newspaper, Kiev has been lobbying both Canberra and the northwestern Australian regional government of Kimberley for two years now, with its proposals falling on deaf ears. Ukraine's ambassador to Australia, Nikolai Kulinich, assured the newspaper that the proposal was "very realistic," adding that "Ukraine could launch tomorrow morning if we had a site. We offer our people and our expertise if Australia has land for use." According to the Ukrainian Space Agency, it would require between 5,000 and 7,000 square kilometers of territory on a commercial lease. It would like to establish its space port near the Curtain Air Base, a Royal Australian Air Force airbase and civilian airport. A preliminary study could be completed for about half a million dollars, The West Australian says, with a study on construction and feasibility possible within two years. The Ukrainian Space Agency envisions its Australian spaceport venture becoming Asia's key spaceport, with launches sponsored by Australian, Japanese, Singaporean, South Korean and Indonesian partners. Private investments, as well as contributions from Australia's neighbors and allies, are expected to fund the construction of the spaceport, including its launch pads, hangars and support facilities. Commenting on the ambitious plan, observers have pointed out that Ukraine's once-proud space industry is but a shadow of its former self following the collapse of the Soviet Union. 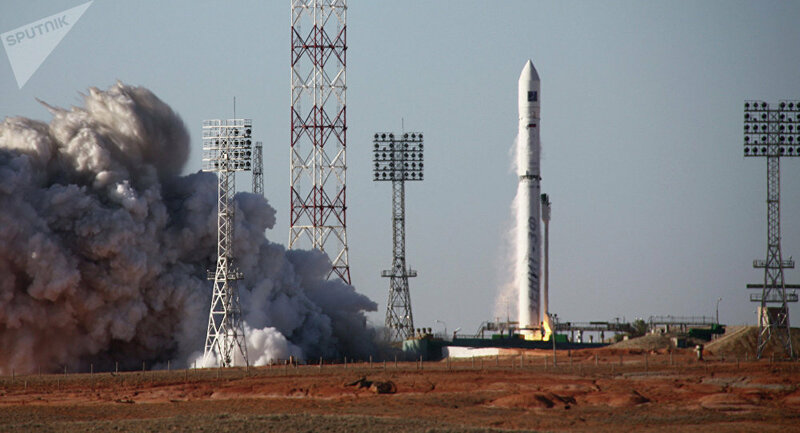 Ukraine's space enterprises, including legendary enterprises like the Yuzhmash rocket plant and the Yuzhnoye design bureau have fallen on particularly hard times after the severing of space and rocketry industry cooperation with Russia in 2014, with many rocket scientists leaving Ukraine in pursuit of better opportunities elsewhere. As to the potential costs of Ukraine's proposed space port idea, Moscow's experience with the construction of its Vostochny Cosmodrome has given some indication of the tremendous price tag attached to building a spaceport from scratch. Vostochny, expected to be completed later this year, has been estimated to cost upwards of $7.5 billion US. Expert opinion aside, social media users aren't too thrilled about the idea either, hatching a series of memes about the lack of realism in Kiev's plan. — Гена Тимошенко (@koctikkn) 12 марта 2018 г. "Ukraine proposes building a space port in Australia." [Image shows a Star Destroyer from Star Wars with the text 'Glory to Heroes' and 'Stepan Bandera', a Ukrainian WWII-era nationalist leader written on its side]. — Своя атмосфера 🇷🇺 (@Murmansk_ru) 12 марта 2018 г. — AVSozinov (@AvSozinov72) 12 марта 2018 г. "This is being done for the Ukrainian ministries to be able to report 100% employment, with all Ukrainians apart from those who are fighting pulling back the rubber band in a slingshot (this will be a cosmodrome using Ukrainian technology)." Интересно бы узнать, за чей счет предполагается сея пьянка?? Нищая страна, живущая на подачки ЕС желает вложиться в космодром?? — Nikonor (@Nikonor_N) 12 марта 2018 г. "It would be interesting to know who's going to pay for this binge. Ukraine, a poor country living on handouts from the EU, wants to invest in a spaceport??" — ЛАРИСА ПЕРЕРВА (@RuLoric) 12 марта 2018 г. "Why not build it in Antarctica instead???" Ukrainian Space Agency representatives are expected to visit Australia later this year to further lobby the spaceport idea.